A one-day conference open to all health care providers and researchers interested in hearing about the latest thinking in research and innovative practices in prevention, treatment and the management of care. 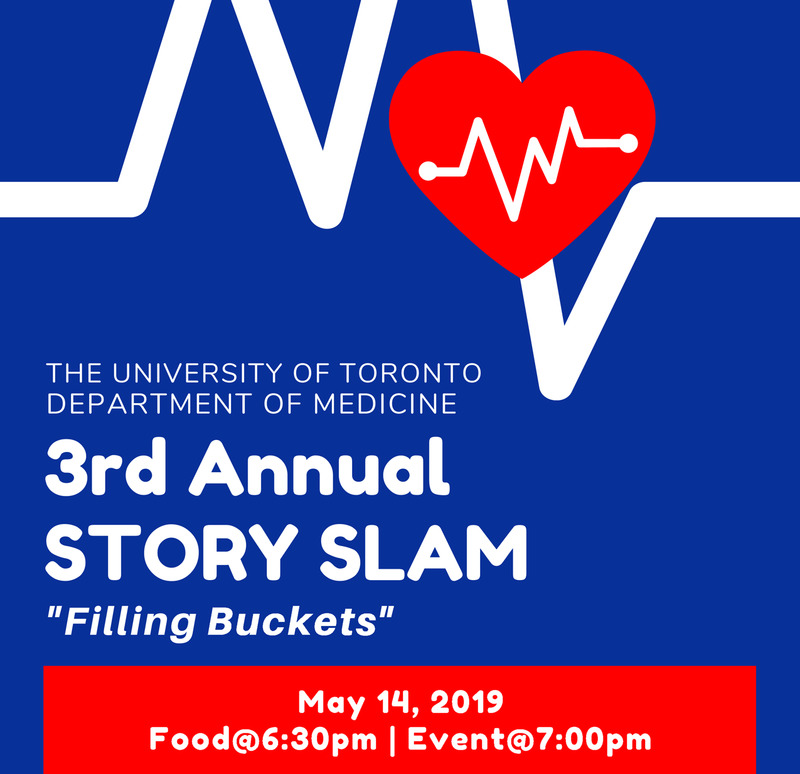 The University of Toronto's Department of Medicine invites you to the third annual Story Slam. Story Slams are events that celebrate storytelling. Participants verbally share brief stories (5-minute maximum) with an audience who vote on their favourite story. The Department of Medicine organized an event in 2017 and 2018, featuring stories that were all published in the Annals of Internal Medicine.